Shell size to 5 mm; shell ovate-conical, stout. Five whorls. Sculpture of spiral cords that do not cross axial ribs. Sutures are not distinct. Outer lip with fine denticles on inner edge. Color very variable, whitish, yellowish, reddish-brown, sometimes with spiral bands of darker color. 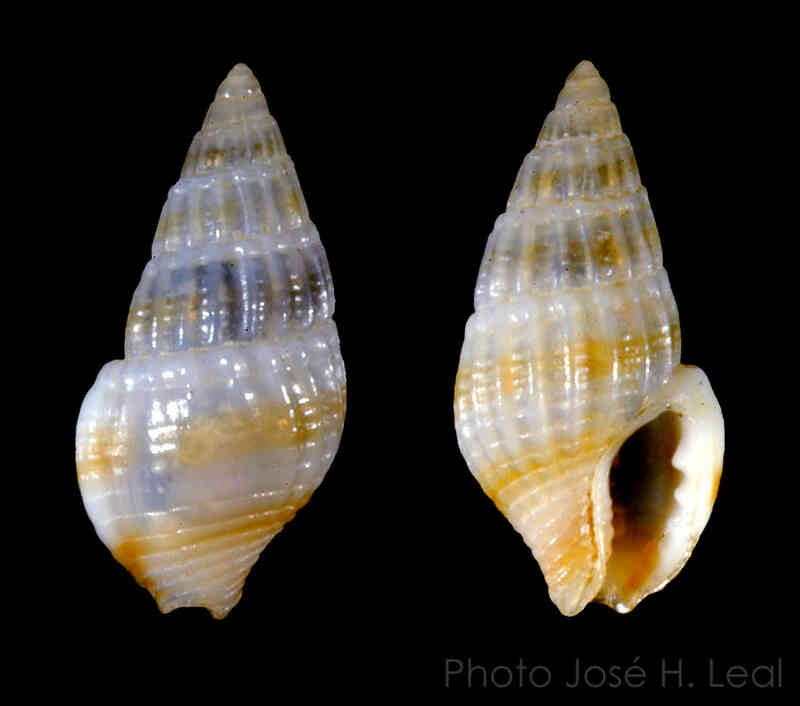 At about 5 mm length (0.2 inch), the fat dove snail is one of the smallest local species of the dove snail family (Columbellidae). The live animals (on the right) were picked from stranded seaweed collected by Museum Marine Biologist Rebecca Mensch on Sanibel, in January 2015. 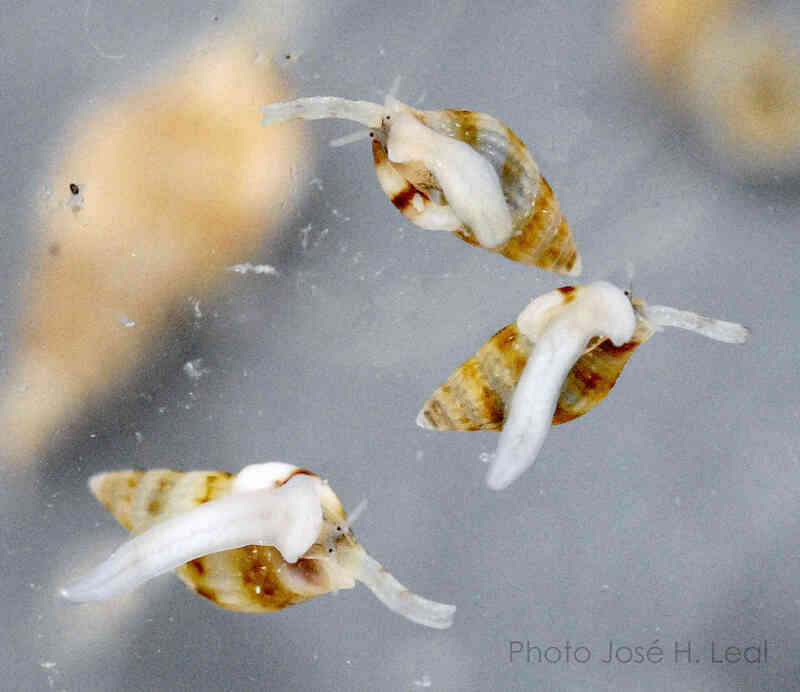 As seen in the photo, dove snails (and other micro-gastropods) are capable of "crawling upside down" under the interface air-water; they do so by taking advantage of the surface tension (caused in turn by the cohesive forces among water molecules). The smaller the critter, the easier it will be for them to crawl along the air-water interface.